What do you think of when you hear the words “body hair” ? Is it painful ingrown hairs? How about expensive shavers and hour long shaving regimes? Do you ever just get tired of wasting money and time on costly face waxes and threading? Did you know that a quality hair laser can almost-permanently reduce full body hair growth by up to 94 percent? That’s right. This means no more ingrown hairs or bikini wax appointments. For this article, we collected and reviewed the 14 top selling at-home epilators of the past year. Don’t worry about the costs for pricey professional permanent hair removal. Simply purchase your own hair removing device. They’re safe, they’re cheap and, most importantly, they work. Not to mention that many of our top choices use the same laser technology as professional hair removal devices. Our choices are the perfect affordable and convenient option for someone who’s serious about cracking down on their body hair. As you can tell, we compared our choices based on their weight and dimensions. This was to determine how small and portable each laser hair removal device was. We also compared them based on the recommend number of treatments, as well as, which skin and hair type they’re meant for. Most of our choices were designed for light to medium skin with darker hair. This is because hair removal devices that work on darker skin tones are typically much more expensive or simply unsafe to use. Finally, We’ve rounded up some of our favorites below, including a little something for everyone. The iluminage Touch Permanent Hair Reduction Device utilizes a patented hair removal system to permanently remove hair. It’s guaranteed to work on all skin types and skin tones with long-lasting results. FDA approved, it can remove even the most frustrating of hair colors in 7 short weeks. These include blonde, red, and black. Utilizing IPL RF technology, most individuals who use the iluminage Touch Permanent Device see a 94 percent hair reduction. The iluminage Touch Permanent Hair Reduction Device is extremely painless. It requires 7 quick and simple treatments for optimal results. This product can be used in all areas of the body, including the arms, legs, face, and bikini areas. It also comes with optional attachments for shaving or epilating during your treatments. This hair reduction device is incredibly easy to use and provides amazing results. You might need a few touchup treatments after the initial 7-week mark. However, they can be administered quickly and effortlessly with like-new results. Besides its price, the 2 most important things that should be mentioned about the iluminage Touch Permanent Hair Reduction Device are the effects and replacement cartridges. First, there are reports of increased skin sensitivity after using this at-home laser hair removal device. Secondly, replacement cartridges tend to cost quite a lot of money. So, along with the hair removal device, you’ll find yourself spending a ton of money by purchasing this product. At 4.2 pounds, the iluminage Touch Permanent Hair Reduction Device is lightweight and can be taken on any last minute trip. FDA approved, it’s been tested and proven to provide risk-free results. However, you should always check the manufacturer’s warnings, as well as, talk to your primary physician before trying any new product. It also comes with a 1-year warranty that protects against product defects in materials and workmanship. The iluminage Touch Permanent Hair Reduction Device is definitely worth its price. Unfortunately, its price is extremely expensive. Would not recommend this product for any “curious” users. It’s best for the more serious buyers. Next up on our list is the LumaRx Full Body IPL Hair Removal Device. It’s been FDA certified to treat full body hair, as well as, women’s facial hair. Typically, treatments for this product last total of 3 weeks, with 1 treatment each week. You may require regular touch ups after the treatment period ends. It utilizes Intense Pulse Light (IPL) technology for removing up to 94 percent of body hair. With a flash speed of 3 to 4-seconds, it pulses a total of 65,000 times per treatment. The LumaRx Full Body IPL Hair Removal Device features ComfortFilter technology for blocking harmful UV rays during treatments. It also features dual hair removal modes for both the body and the face. If you need to remove hair in the face, simply use the device’s pre-set facial hair removal function. This uses 4 second flashes with a 600-1200 nm wavelength. The body’s hair removal function uses 3-second flashes with a 650-1200 nm. It also comes with interchangeable caps. One cap is for smaller, more contoured areas, while the other is for larger treatment areas. The LumaRx Full Body IPL Hair Removal Device has a very limited treatment range. It comes with a built-in skin tone tester that prevents it from working on skin that is too dark. It’s built to work on light to medium skin tones and darker hair, such as black, dark brown and dark blonde. It won’t work on blonde, red, grey, or white hair. Considering its price, I’d say that this product may be a huge disappointment for some individuals. The LumaRx Full Body IPL Hair Removal Device is extremely easy to use and maintain. It can be used by both men and women with exceptional results. This FDA approved at-home laser hair removal system is guaranteed to provide long-lasting results that’ll leave you thrilled. It also comes with a 90-day money back guarantee, as well as, a 2-year limited warranty. This warranty protects against product defects in materials and workmanship. Despite its treatment range, those who can actually use the LumaRx will be extremely happy with how well it performs. The Silk'n Flash & Go Hair Removal Devic﻿e features patented at-home Pulse Light (HPL) technology to reduce full body hair growth. By emitting a gentle, yet powerful, pulsing light, it targets the hair follicles to disrupt future hair growth. FDA approved, this laser hair removal product is safe to use on all parts of the body. To ensure the best results, the user should complete a full 6 months of treatment. However, you should be able to see results after the first 4 treatments. The Silk'n Flash & Go Hair Removal Device utilizes 5000 flash cartridges to remove up to 90 percent of hair growth. It’s designed to work on lighter skin tones and darker shades of hair. However, there are numerous consumer reports that suggest that it may work on lighter shades of hair with multiple applications. It also features a patented skin sensor device for regularly measuring the individual’s skin tone and the results of treatment. The Silk'n Flash & Go Hair Removal Device actually dissuades its users from using this product on facial hair. So, it’s not the safest on our list for irritating mustache growth. It also takes extra time to complete treatments. Sometimes it may take up to an hour to finish a treatment, which might cause skin burn and irritation. Make sure that you consult the user manual before starting treatments. If you have any concerns, questions, or complaints, always contact the manufacturer’s customer service and your primary physician. The Silk'n Flash & Go Hair Removal Device is a much cheaper option compared to multiple other epilators on our list. It also comes with a 1-year warranty that protects against product defects in materials and workmanship. If you’re looking for a simple and affordable home hair removal system, then this machine might be your best option. For its price, I’d say that the Silk'n Flash & Go Hair Removal Device does a pretty good job. The quality of safety for this product is a bit concerning. I would definitely consult with a primary physician before purchasing this machine. The Tria Beauty Hair Removal Laser 4X is definitely a favorite for most dermatologists. FDA approved, it features 5 different energy settings for removing hair from all parts of your body. Designed to work on light to medium skin tones, it performs best on darker shades of hair. However, with multiple applications, it may remove lighter shades of hair, as well. This product is guaranteed to remove up to 70 percent of hair with just 2 treatments. It’s the fastest working product on our list. However, it’s important to note that it’s not a permanent but temporary hair removing machine. The Tria Beauty Hair Removal Laser 4X utilizes diode laser technology to disrupt hair growth in your hair follicles. It requires 1 regular treatment every 2 weeks for up to 3 months for the best results. This home hair removal system is better than any shaver. Women are guaranteed to find their legs smooth and hairless for months after the treatment ends. You can also keep up with regular treatments for like-permanent results, afterward. The downside to the Tria Beauty Hair Removal Laser 4X is that it really hurts to use. When set on the highest setting, you can expect to feel a burning sensation in your skin. This can be expected when using any epilator. However, this machine is fairly more powerful than the other products on our list and maybe a bit more painful than what you’re used to. The Tria Beauty Hair Removal Laser 4X is an extremely popular and well-known product in the fashion industry. It can be found in multiple stores, such as Sephora and Ulta. While this machine’s manufacturer doesn’t offer any product warranties, other 3rd party sellers might. When purchasing this laser hair removal system, you may want to ask the seller about product warranties, discounts, and money back guarantees. The Tria Beauty Hair Removal Laser 4X is one of our top picks. If it were equipped to handle all skin tones, then we would have made it our top pick. Next on our list is the Remington iLIGHT Ultra Face and Body Hair Removal System. This system utilizes iLIGHT flashes and pulses to disrupt hair growth throughout your body. It can remove up to 93 percent of hair with just 3 easy treatments. FDA approved, this system is gentle, safe, and easy to use. Unfortunately, it’s designed to only work on lighter to medium skin tones. However, it can work on both dark and light colored hair, like blondes and reds. It is less effective on lighter hair and it won’t work on greys or white hair. The Remington iLIGHT Hair Removal System features a built-in skin sensor that prevents it from working on darker skin tones. This, of course, is just a safety precaution. It also will stop working if it senses a tattoo or dark spots. This laser hair removal device also comes with a handy skin contact sensor. The contact sensor automatically turns the machine on when it senses that the product is flush against skin. The Remington iLIGHT Hair Removal System shouldn’t be used on facial or neck hair. It also may cause skin irritation and pain with prolonged usage. Be sure to consult the user manual after receiving this epilator. 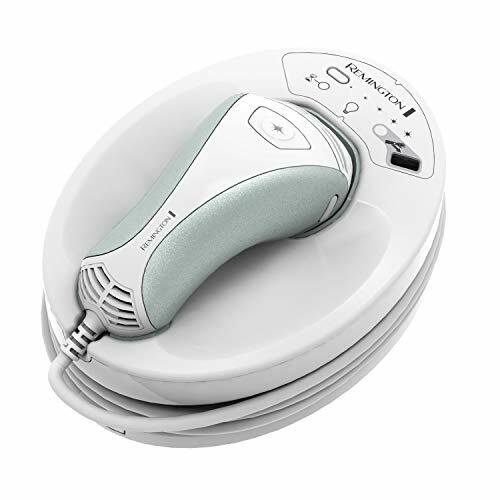 The Remington iLIGHT Hair Removal System utilizes 65,000 flash cartridges for optimal treatments. It also comes with a handy 2-year warranty that protects against product defects in materials and workmanship. Capable of working on both male and female hair, this product guarantees amazing results. You’ll be able to see your hair fall out within the first 7 to 10 days of use. The Remington iLIGHT Hair Removal System is an impressive product that performs exceptionally well. You’re guaranteed to see results with this at-home epilator. Of course, the next product on our list is a Tria Beauty item. The Tria Beauty Hair Removal Laser Precision features a pointed design for precise, detailed results. FDA approved, this laser hair removal device was designed for smaller, more sensitive areas, such as the face and bikini lines. It features a 15-minute battery life and it’s small, compact, and perfect for traveling. This product was built to work on light to medium skin tones and darker hair tones. It may work on red and blonde hair with multiple applications. Like the Tria 4x, the Tria Beauty Hair Removal Laser Precision is guaranteed to remove up to 70 percent of hair within the first 2 treatments. It also requires 1 regular treatment every 2 weeks for up to 3 months for the best results. As far as a temporary hair removal system goes, this product provides like-permanent results. It’s also cheaper than the Tria 4x. It makes a great alternative for those looking to spot reduce rather than full body hair reduction. The Tria Beauty Hair Removal Laser Precision is not designed for full body hair removal. It can only handle small areas at a time. Also, considering its price, its 15-minute battery life is a fair bit disappointing. The Tria Beauty Hair Removal Laser Precision is another well-known, popular Tria product. It can be found both online and in stores, such as Sephora and Ulta. While its manufacturer doesn’t offer any product warranties, other 3rd party sellers might. When purchasing this laser hair removal system, you may want to ask the seller about product warranties, discounts, and money back guarantees. Without a doubt, the Tria Beauty Hair Removal Laser Precision is the best option for detail work on our list. However, this limits its potential for other projects. Utilizing IPL technology, the Braun Gillette Venus Silk-Expert IPL 5001 will curb hair growth in less than 8 minutes. You’re guaranteed to see 94 percent hair reduction within the first 3 months of using this powerful laser hair removal device. It comes with a handy SensoAdapt skin tone sensor that automatically determines the perfect light intensity for your skin tone. This at-home laser hair removal device comes with 3 easy to use modes: normal, gentle, and extra gentle. Normal and gentle modes are best for legs, arms, and armpit areas. Extra gentle is the perfect alternative for super sensitive areas, such as the bikini lines. The Braun Gillette Venus Silk-Expert comes with a long-lasting cartridge that’s guaranteed to withstand up to 300,000 flashes. That’s between 15 to 35 years of use depending on the treatment areas. This at-home laser system is effective on both men and women with light to medium skin tones. It’s designed to perform best on darker hair tones. However, with multiple applications, it can work on blonde and red hair tones, as well. When purchasing the Braun Gillette Venus Silk-Expert, you should be aware that it’s not meant for facial hair. That means that if you’re attempting to remove a particularly hairy mustache, then you might want to check somewhere else. This is the same for both men and women. Also, a few customer reviews of complained about blisters. This is because it utilizes a particularly powerful form of laser technology. So, you should be careful not to overuse this hair removal system. The Braun Gillette Venus Silk-Expert IPL 5001 is a gentle and easy to use system. With near-permanent results, it’ll leave your skin feeling smooth and soft for months on end. It also comes with a helpful 2-year limited warranty that protects against product defects in materials and workmanship. This laser hair removal device is a great, inexpensive alternative to regular spa treatments. The Braun Gillette Venus Silk-Expert’s lifespan guarantees that you get the most out of this hair removal system. Its 2-year limited warranty is also very helpful. The Philips Lumea Comfort IPL Hair Removal System promises instant results after the first treatment. Capable of lasting up to 200,000 flashes, it’s guaranteed to survive up to 4 years of regular use. This system works on only light to medium skin tones and darker hair types. The scanner won’t work on blonde or red hair tones at all. It features an Integrated UV filter for protecting your skin against harsh UV lights. This product also features a Skin Tone Sensor which prevents the laser hair removal device from working on darker skin tones for safety reasons. 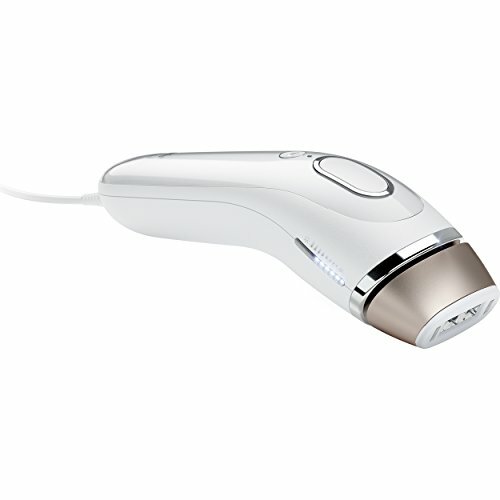 The Philips Lumea Comfort IPL Hair Removal utilizes 5 energy modes for a variety of treatments. Its highest setting is best for full body treatments, while its lowest setting is designed for more sensitive areas. This at-home laser hair removal device uses IPL laser technology. For full body hair removal, it may take up to 11 minutes to perform. Otherwise, smaller areas take a matter of minutes. Finally, this handy laser hair removal device features a slide and flash feature for continuous usage. It’s truly an all-in-one package. Because the Philips Lumea Comfort IPL Hair Removal system is so powerful, it may be a bit painful to use. While higher settings are even more effective, they can be painful. That’s why you might want to consider trying out the lower settings before you jump to the highest. You should also use eye protection when using this at-home laser system. The Philips Lumea Comfort IPL Hair Removal system is an extremely powerful product that will provide long-lasting results. Also, this at-home laser comes with both a 90-day money back guarantee and a 2-year warranty. The warranty protects against product defects in materials and workmanship. The Philips Lumea Comfort IPL Hair Removal system provides impressive results and it comes with a wide assortment of features. Overall, it’s affordable and long-lasting. The Remington iLIGHT Pro Hair Removal System utilizes ProPulse laser technology for professional-quality results. It features an ultra-fast flash rate for quick and simple treatments. Each cartridge is capable of producing up to 1,500 flashes for up to 3 to 4 full body treatments. It also utilizes IPL laser technology for near permanent results. FDA approved, it’s safe to use on all skin types, such as dry, oily, or normal. 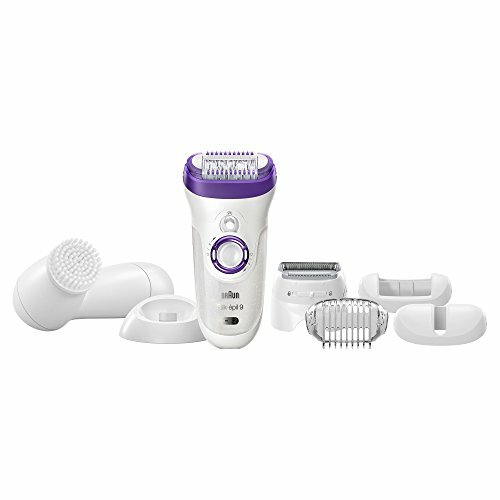 Both men and women will love this epilator. However, this at-home laser can only be used on light to medium skin tones for darker hair. The Remington iLIGHT Pro Hair Removal System comes with a variety of handy features. One such feature is the skin contact sensor. This automatically turns the machine on when it senses that the product is flush against skin. It also comes with a skin tone sensor that determines if the laser hair removal device is safe to use depending on your skin tone. It’s important to note that this hair removal system will automatically turn off if it senses a tattoo or a black mark. The Remington iLIGHT Pro Hair Removal System takes a little bit of time to work. You might not see actual results until the third or fourth treatment. However, each cartridge only lasts up to 3 to 4 treatments. Most of the other hair removal devices we chose for our list can last much longer than just 4 treatments. I’d say that this product has a short lifespan. Compared to many other products on our list, the Remington iLIGHT Pro Hair Removal System is considered extremely affordable. Despite it’s cheaper the normal price, it surprisingly still provides salon-quality results. It also comes with a 4-year warranty that protects against product defects in materials and workmanship. It’s safe to say that the Remington iLIGHT Pro is worth every penny. Because of its short lifespan, the Remington iLIGHT Pro Hair Removal System may not be the best option for our list. However, it’s cheaper and works well with time. The ﻿﻿﻿LumaRx IPL Hair Removal Device Min﻿﻿﻿i utilizes IPL laser technology for near-permanent results. This product guarantees a 94 percent hair reduction after the first 3 treatments. It recommends bi-weekly treatments and regular touchups afterward. This at-home hair removal device is small and compact for easy maintenance and portability. Because of its size, it’s best for touchups and detailed hair removals, such as sensitive areas, facial hair, and bikini lines. Its results are long-lasting and guaranteed to leave your skin feeling smooth and prick-free. The LumaRx IPL Mini features ComfortFilter technology for blocking harmful UV rays during treatments. It boasts a 5-second flash speed and is capable of performing up to 6,000 flashes per cartridge. Its contoured, pointed design allows it to access hard to reach areas for optimal performance. This product also comes with a built-in skin tester for preventing the treatment of skin that’s too dark for safety reasons. FDA certified; it’s both safe to use and certain to provide the results that you’re looking for. Unfortunately, because the LumaRx IPL Mini is so small it, it isn’t a good option for full body hair removal. It’s best for detailed work. Also, there have been a few customer complaints. Most complaints suggest that the most recent version of the LuaRx doesn’t work, regardless of skin and hair tone. You may want to look out for this before purchasing the hair removal device. Just to be safe, you should purchase it from the manufacturer’s official website. The LumaRx IPL Mini is designed to work on light to medium skin tones and dark hair. So, it won’t work on blonde, red, grey or white hair like some systems. However, it does come with a 90-day money back guarantee. Convenient, portable, and powerful, this hair removal device is the perfect system for both men and women. If the LumaRx IPL Mini was a bit cheaper, it would be a great product to have on hand solely for detail work. The Sensica SensiLight Mini100 uses RPL technology to permanently remove and reduce full body hair growth. Equipped with 100,000 flash canisters, it’s capable of lasting for years. This product is FDA approved and safe to use on the arms, underarms, legs, back, bikini line, and chest. With a compact, handheld design, the SensiLight Mini100 is portable and great for long trips on the road. Despite its size, it packs a powerful punch. Its intuitive feature allows the mini machine to react to each individual’s unique skin type for better results. The Sensica SensiLight Mini100 is designed to work with light to medium skin tones and darker hair. With multiple applications, it may also react to red and blonde hair. This product made its start as an “As Seen On TV” product and it has quickly grown as an high-quality at-home hair reducer. Slightly less expensive than many other machines on our list, it provides amazingly smooth results with every use. The Sensica SensiLight Mini100 is a small, handheld laser hair removal device. It’s designed for more detail and spot hair reduction than full body. Also, this product may hair a bit worse than the other treatments on our list. Be wary of skin sensitivity and irritation as a possible side effect. The Sensica SensiLight Mini100 works as well as you’d expect from a professional-quality at-home hair reducer. While it doesn’t come with a product warranty or money back guarantee, it may be found in-stores. You should consider looking into 3rd party vender’s return policy if you decide to purchase it in-store or online. This way you might be able to obtain a refund if needed. The Sensica SensiLight Mini100 works well enough. While it’s not one of our favorites, it’ll at least get the job done. The Silk'n Flash & Go Compact and Trim features a portable, yet powerful condensed design. Equipped with a long-lasting cartridge, it’s capable of reaching up to 150,000 flashes. Using HPL laser technology, this product is the perfect option for sensitive areas on the body. This includes facial hair, bikini areas, arms, and legs. FDA certified, this at-home hair remover is perfectly safe to use. You’re guaranteed to see results within 2 to 4 treatments. It’s best used for detailed treatments instead of full body hair removal. The Silk'n Flash & Go Compact and Trim features a handy gliding function for quick and simple treatments. It also comes with a built-in skin tone sensor for determining if the laser hair removal device is safe to use depending on your skin. This product performs best on lighter skin tones and darker hair colors. Keep in mind that the built-in sensor will prevent the hair laser from turning. Overall, this machine is both powerful and convenient to use. You’ll definitely see results in no time. Unfortunately, the Silk'n Flash & Go Compact and Trim may not work on medium or darker skin tones. It also doesn’t work on red, blonde, grey, or white hair. Also, because it features a small, pen-like design, it wouldn’t be a good choice for full body hair removal. The Silk'n Flash & Go Compact and Trim comes with a wide range of additional accessories. These include a handy carrying case, a cleaning brush, and an adjustable-length trimming comb. It also comes with a bonus trimming head and a 1-year warranty that protects against product defects in materials and workmanship. Not only that, but this at-home hair laser is a slightly cheaper option than the majority of products on our list. It’s a great steal for a low cost. The Silk'n Flash & Go Compact and Trim is a great option for anyone looking to perform detailed hair work. It has a lot of potential in that aspect. The Norlanya Portable IPL Hair Removal Machine is a wonderful product that not only reduces hair growth but also rejuvenates the skin. It comes equipped with 2 different cartridges: HR and SR. The HR, or Hair Remover, is capable of flashing up to 20,000 times. Meanwhile, the SR, Skin Rejuvenator, flashes up to 30,000 times before it needs to be replaced. It features a built-in system called Stylight which uses a soft-touch control system. Stylight offers 10 different energy levels for a variety of treatments all over the body. The Norlanya Portable IPL Hair Removal Machine prevents burning and skin irritation via its skin touch and temperature control. It provides professional-quality hair reduction with its built-in dual lamps. However, it’s an extremely easy to use product despite its advanced technology. Suitable for skin types I to V, it performs best on darker hair colors. With multiple applications, you may get results on red, blonde, grey, and white hair. It’s important to note that the Norlanya Portable IPL Hair Removal Machine is a bit expensive. While it doesn’t reach the thousands, it’s more expensive than most of the items on our list. It’s also a bit bulky and heavy to handle. The Norlanya Portable IPL Hair Removal Machine requires 5 to 6 weeks of treatment. Multiple treatments provide a better chance of semi-permanent hair reduction for up to a year. You can use the HR every 48 hours as long as there are no signs of burns or irritation. The SR should be used every 3 to 4 weeks. This product also comes with a lifetime warranty that protects against product defects in materials and workmanship. I recommend contacting the manufacturer for more details before purchasing this hair removal machine. We were very impressed with the Norlanya Portable IPL Hair Removal Machine. Its dual HR and SR function performed on a professional level with amazing results. The Silk'n SensEpil Hair Removal Unit is a full body hair removal device that guarantees fast results. FDA certified, this product is safe to use on all parts of your body, including the face and bikini areas. Utilizing HPL technology, it quickly reduces hair growth, leaving your skin smooth and soft. This product promises up to a 75 percent noticeable hair decrease within the year. It’s important to note that it’s designed for lighter skin tones and darker hair. This means that it might not work on blonde, red, white, or grey hair. The Silk'n SensEpil Hair Removal Unit comes with an instructional DVD. When purchased with the combo pack, you also get 3 additional cartridges which save you a lot of money in the long run. Most individuals complete a total of 4 treatments before seeing a noticeable improvement of body hair growth. It also works successfully on black marks and tattoos. When using the Silk'n SensEpil Hair Removal Unit, you’ll need to wear special eye protection. This is because the light is so strong and it may damage your eyesight. Also, this at-home hair reduction device may be a bit painful for some. You should be wary of skin sensitivity and irritation. The Silk'n SensEpil Hair Removal Unit is an extremely popular hair removal device that can be found in-store and online. While the manufacturer doesn’t provide a product warranty or money back guarantee, many 3rd party vendors might. I recommend that you inquire about refunds or warranties if you purchase this hair removal device in-store. Cartridges for the Silk'n SensEpil Hair Removal Unit could be a little cheaper. Otherwise, it’s a well-made, sturdy product that provides great results. When searching for the right laser hair removal device, you’ll need to know more about the product. In this next section, we’ll be going over some important basic facts about epilators. Laser hair removal is a procedure that uses pulsing lights to remove hair or reduce hair growth. It can be administered professionally or personally. How Do At-Home Machines Work? Consider a black shirt and a white shirt on a hot summer day. Dark clothing absorbs the sun’s heat, while lighter clothes simply refract the sun’s rays. At-home laser machines work the same way. The intense pulsing light that an at-home laser hair removal device expels is actually Intense Pulse Light (IPL). You’re hair absorbs the heat from the IPL and the heat damages your hair follicles. This, in turn, retards hair growth in those follicles for an extended amount of time. At-home machines are simply smaller and weaker versions of larger, more expensive hair lasers. Laser hair removal works by targeting melanin in the skin. Melanin is responsible for the pigmentation in the skin and hair. The more melanin, the darker the pigment. More melanin in the hair is a good thing, because the laser is easily absorbed by the hair and it destroys the hair follicle. We want the hair to be destroyed. However, using laser hair removal devices on darker skin will cause the melanin in the skin to absorb the heat. This will cause the skin to overheat, burn, and even scar. So, most laser hair devices recommend only light to medium skinned individuals. This guarantees a high rate of success with no fear of scarring. Consider a black and a white shirt on a hot summer day. Heat is quickly absorbed into darker fabrics, while lighter fabrics refract heat. Hair works much the same way. Darker hair can absorb the machine’s heat better than lighter hair. This is why most at-home hair removal devices are typically recommended for darker hair types. You should pay extra attention to manufacturer warnings when choosing a hair removing device. Some may suggest that their product might work on blonde and red hair, while others will out rightly say that it won’t. However, it’s very rare to see a hair laser that works on grey or white hair. Laser hair devices may vary based on size, longevity, and ease of use. All of this goes into determining the price of the product. When deciding how much you’re willing to spend, it really depends on what you want. If you’re looking for cheaply made product for a couple of quick uses, then your price range may be around $100. However, sturdier and more powerful hair removal devices can cost around $500. Surprisingly, at-home laser hair removal devices aren’t that new of a concept. There are plenty of laser hair device and epilator manufacturer’s out there looking to build their brand. Going with a brand you already know and trust is the best route to go. Silk'n Flash & Go and Remington are two noteworthy brands that always guarantee great, reliable products. Basically, no. It can drastically reduce hair growth or help to thin hair. However, results from laser hair removal devices typically last 6 to 12 months; sometimes more and sometimes less. It does help to preform regular applications to continuously stunt hair growth. But make sure that these treatments are appropriately spread out. Both treatments have a lot in common. They’re designed to stunt hair growth by damaging the hair follicles without harming surrounding tissue. They both use light to accomplish this task. Also, they both require repetitive treatments. However, laser technology definitely beats IPL. This is because laser technology is more effective and requires less treatments (6-12). Laser technology can be used to treat both small and large areas. It’s great for detailed work without scarring or irritation. Laser technology can be adjusted for your specific hair type and hair color. Most importantly, it’s safe for all skin tones. The one downside to laser technology is that it’s so much more expensive than IPL. It’s important to note the difference between epilators and laser hair removal devices. Epilators work like waxing. They simply pull the hair out from the follicles using an electronic device. Epilators are also a bit painful and hair will come back. However, epilators are much less expensive. Laser hair removal devices are designed for like-permanent results. They’re easy to use and are fairly painless. In the end, it really depends on what you’re looking for. If you have the money and you want long-term results, a laser hair removal would be better than an epilator. However, if you’d like quick results for less money, than an epilator’s your best bet. If you feel irritation, itching, burning, or scarring on the skin, STOP treatments! Be careful and make sure to read the instructions carefully before use. As you can see, there are various types of hair removal devices you can purchase. Don’t limit yourself to threading or full body waxes when you can almost permanently reduce hair growth, instead. While each of our choices costs a pretty penny more than a bikini wax might, the long-term benefits are worth it. Not only that, but these hair removal devices can be reused or refilled for long-lasting results. Save yourself the money, time, and frustration by buying a personal, at-home hair removal device, today. Hopefully, you’ve enjoyed our in-depth review. If you have any questions, I encourage you to leave a comment. Have you purchased a laser hair removal device before? If so, which one? How did it work and how much was it? Would you recommend it to a friend?